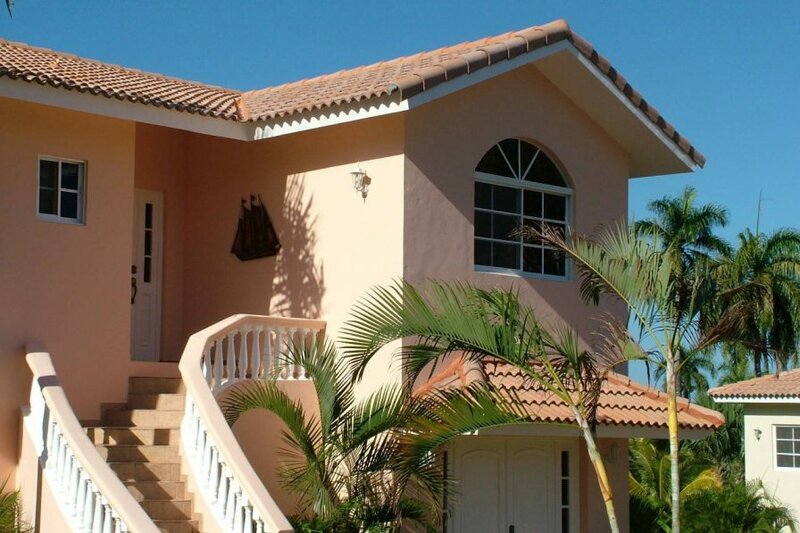 This 4 bedroom villa with swimming pool is located in Sosua and sleeps 10 people. It has WiFi, parking nearby and air conditioning. "Bring your closest friends and relatives down to a place where life is easy, time moves slow and theres not a care or problem in the world. Sosua is a wonderful town located in Puerto Plata, Dominican Republic. Its known for its hospitality, great views and clear blue waters and of course, fun tourist attractions to keep you busy throughout your stay with us. Your vacation villa is already located within the heart of Sosua; close to both restaurants, nightlife and bars along with great fun such as horseback riding through the landscapes, tennis games with your close relatives and other guests, even world class massages from masseuses. The homelike well furnished four bedroom villa has two bedrooms with large king and queen size beds and two bedrooms furnished with twin beds; perfect for bringing along younger children travelers. Outdoors has a large spacious pool with crystal clear, cool waters perfect for basking in the sun and enjoying the island breeze. Theres a full sized kitchen furnished with a stove, fridge, microwave and more with plenty of amenities to make any type of meal you may desire. Theres a charming outdoor balcony perfect for enjoying more of that crisp island breeze while enjoying breakfast or another meal. Our wonderful vacation community full of like minded tourists, welcoming natives and supportive management staff that are all excited to welcome you to the community. Escape from the hustle and bustle of everyday life and come down to paradise to hang out, explore, try new things and more. Were excited to see you in beautiful paradise soon! Book today to reserve your slot."